- Pedestrian entry : opposite to 20 rue Royale, Saint-Cloud. For access to F2 building, turn immediately left after entrance in the shopping gallery. 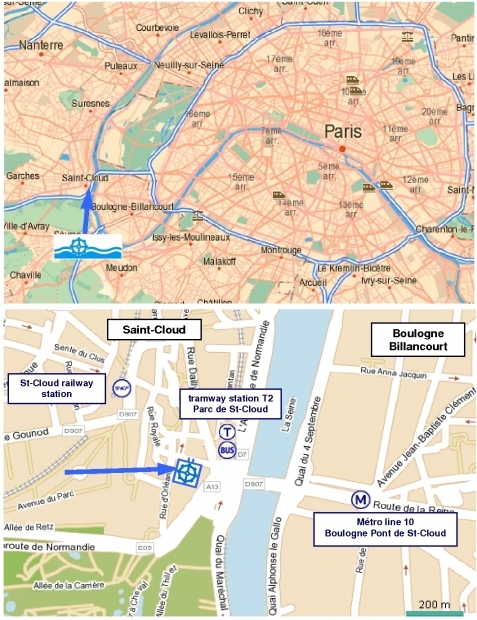 - Cars entrance : entrance « PARKING VISITEURS » under the block of building by following direction « AUTOROUTE A13 ROUEN » from Saint-Cloud bridge. - Taxi : Bureaux de la Colline - rue Royale, Saint-Cloud. If you need contact us, fill in the following form. please copy the following code in the field.